We met with Cambridge City Council to review the collection services. Along with the other Cambridge Colleges we will also be considering Mick George as a potential waste management provider. Mick George recently signed a contract with Bio Bean, who we visited last year, for the collection of coffee grinds for use in generating bio fuels. Currently, the College’s coffee grinds are used by the College’s gardeners as a fertilizer. We have installed a new food measurement system, called The Chef’s Eye to help us identify which menus result in higher levels of food waste. Food waste in the kitchen is already below 5% and this system will help the College improve portion control, different serving systems and identify the more successful menus. The Committee approved the implementation of a new recycling scheme for writing implements. 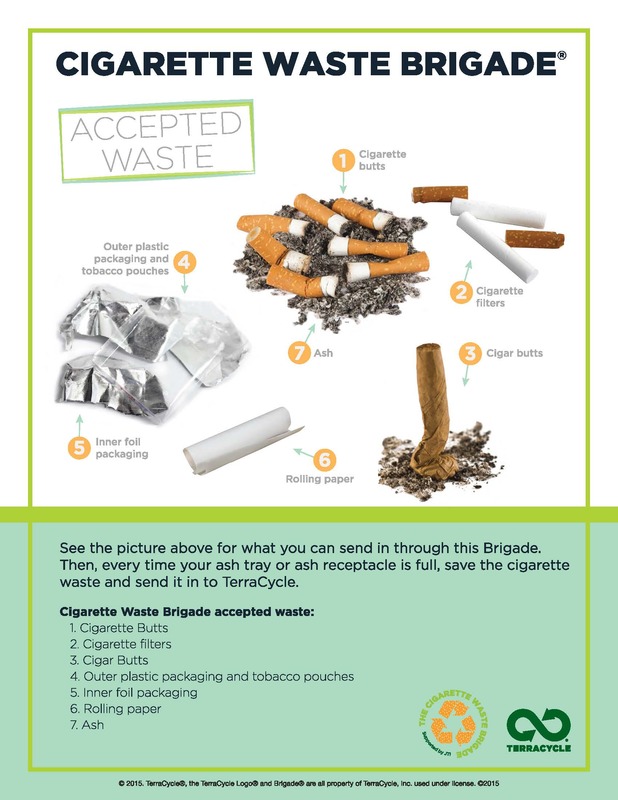 This is a scheme run by Terracycle, the organization which recycles the cigarette butts which we collect from the various smoking bins around the College. The pen recycling scheme will include collection points in Porters’ Lodges and the Library. In making the award the panel requested that St John’s spread the word about sustainable food as communication and promotion of principles of sustainable food was an important component of the scheme and this was backed up by recommendations from Sustain and the Sustainable Restaurant Association. They felt that St John's was in a perfect position to promote these principles in serving such a great number of meals every day and to younger student customers who were in the early days of making food choices for themselves and for whom messages about sustainability could carry more weight. They also hoped thatcommunication would increase staff participation, enthusiasm and pride in the College’s efforts towards sustainability. The Catering Manager has met with the accreditation organization and is awaiting further information. It is hoped that accreditation may encourage environmentally-minded visitors to consider staying in St John’s B&B accommodation. 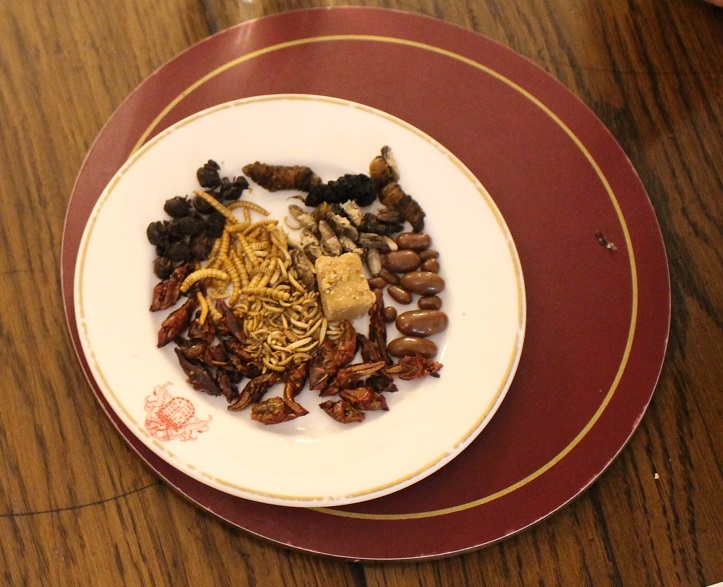 Insects and seaweed have featured on some Feast menus and tastings have been held, both of which have received positive feedback. The College is hosting the TUCO Sustainable Food conference in April. UK University Catering Managers and MEET Cambridge attendees will see the environmental work the College is doing. The Catering Department is organising a fact finding visit to Winchester University, which is one of the leaders in environmental management in the university sector. The Global Food Security page on the University website features St John’s College and the work we are doing on sustainable issues. Electricity supplies for non-half hourly meters were switched from SSE to OPUS on 1st October 2017 which is a green energy supplier. The other green energy contract with Haven for half hourly metered electricity supplies has been extended to 30th September 2021 and is on a flexible rate which is billed monthly. This means that all electricity supplied to the Cambridge colleges is now green energy. For gas, in the last six months automatic meter readers (AMRs) have been placed on 99 of the 111 supplies. This should ensure that we have accurate meter reads every month which will help with budgeting purposes in the future and save on re-billing. The meter readings for the College’s Carbon Reduction Commitment (CRC) end of year reporting period will be carried out on 4th and 5th April and submitted to the relevant suppliers. The Superintendent of Buildings reported that as of the end of January 2018 two more hostels had been upgraded and another was being worked on, each with new energy efficient heating systems. The College is also hoping to acquire another hostel in St John’s Road which will be refurbished to the same EPC B standard as the highly successful 15 St John’s Road retrofit. A new hostel investment plan to upgrade hostels and improve their energy efficiency had been agreed with the SBR. The College has installed some new software to monitor energy meters around the College. Monitoring will start shortly, initially with the Kitchen then moving on to other areas including Cripps. The deployment of this system in the College kitchen will help the College achieve its 3 star accreditation goal for the Sustainable Restaurant Association. When other areas of College are refurbished, such as E Staircase New Court, similar energy management systems will be installed. Recycling, Sustainable Food accreditation and Energy Saving initiatives will continue to be the focus for the College. In addition, the new-build projects from the Masterplan such as the Cripps Car Park building should seek to achieve high energy efficient standards such as BREEM and should include opportunities for sustainable energy sources such as geo thermal systems for the Paddock area and Playing Fields or PV panels on south facing roofs such as on the BDR. Cambridge City Council has been briefed on the Masterplan and the need to retain car parking places for staff in departments such as catering and housekeeping, who are unable to use public transport when commuting to the office at the beginning and end of shifts. In anticipation of future City Council congestion measures, schemes for the underground car park in Merton Court will include provision for electric charging points for low emission cars. In July 2017, the Cambridge Colleges’ Energy Management Sub Committee awarded a 3 year supply agreement to Opus Energy, whose tender was both competitive and the most environmentally friendly of the submissions. This means that from the Michaelmas Term St John’s College electricity will now be 100% renewable. Although the mix will vary over time, based on historical performance from Opus, the proportions are likely to be wind 53%, PV 23%, biomass 19% and the remainder bio-gas, landfill-gas and hydro. Between October and December 2016 three kilos of cigarette ends have been collected from smoking areas in College and have been sent off to be made into garden tools and benches. The implementation of the new recycling arrangements continued to deliver a significant increase in recycling rates resulting in a further 4 recycling containers being required from the City Council in place of landfill containers. To encourage student participation, it has been agreed with the JCR that students can leave landfill bags in designated areas at the foot of stairwells for collection by Maintenance. Weekends waste collections are now working well following a meeting with the City Council to agree new arrangements to avoid weekend food waste being sent to landfill. The provision of extra bins to allow the waste to be collected on Mondays will ensure that recycling of weekend waste will be possible. Further steps toward 3 Star Accreditation will be taken with an Energy Management System being installed in the kitchens later this year to allow us to measure the amount of energy used and investigate the impact of new energy saving appliances. The Catering Manager and Domestic Bursar visited Bio Bean, a local company that collects coffee grounds and turns them into bio-fuel. The College’s Coffee grounds currently go to landfill which is expensive as they are very dense and Bio Bean are negotiating with the City Council to set up a system for collecting grounds separately. The Superintendent of Buildings has prepared a plan for the retrofit of Victorian hostels in St John’s Road, Richmond Terrace and Park Parade to achieve a minimum EPC C Rating, based on the successful pilot at 15 St John’s Road. Considerable work will be required but pay back periods are acceptable as the properties will remain in the operational estate long term. 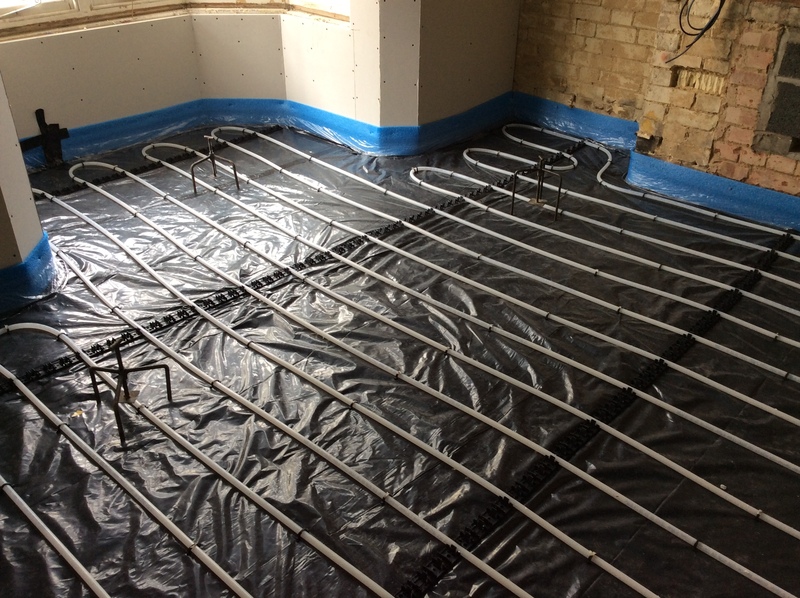 It is expected that floors will need replacing and underfloor heating will be installed. External walls will be insulated, roof insulation brought up to building regulations, low energy lighting and energy switches installed, heat recovery systems fitted to bathrooms and kitchens, and secondary glazing added to provide additional security, sound insulation and comfort. At the start of Term new recycling arrangements were implemented which involve students emptying landfill waste bins and Housekeeping emptying the recycling bins, switching responsibilities which had been in operation for 10 years. This had already shown a huge increase in the recycling rates from the vast majority of students. There have been a few teething problems, as expected but we are working with the JCR to address these and ensure all students understand the reason for the changes and how these will help the College achieve its recycling goal. The Catering Manager prepared a sustainable menu for the Matriculation Dinner which was much appreciated by students and Fellows. In September 2016, The Superintendent of Buildings hosted a tour of recently refurbished 15 St John’s Road as part of the Cambridge Carbon Footprint Open Day. The refurbishment had included a range of energy saving measures which had reduced energy usage by 50% compared to similar properties. It was well received by visitors who commented positively on the College’s initiative. 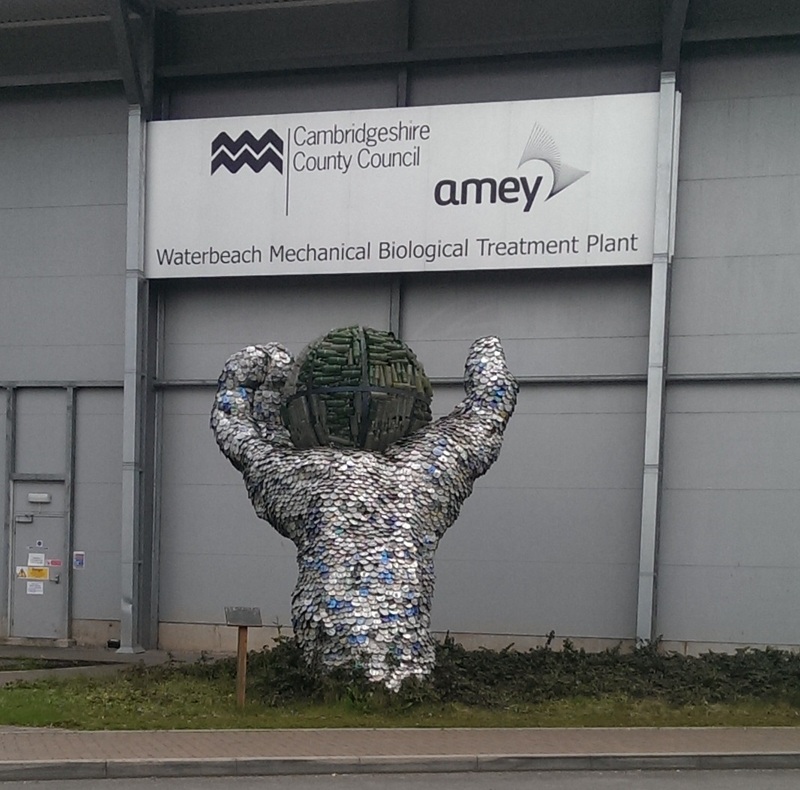 In May 2016, a group of staff, students and Fellows visited the Amey Recycling Centre where the College’s waste is recycled. The visit highlighted the huge problems that need to be overcome with regards to recycling generally. The importance of accuracy when sorting items to be recycled was emphasised and this supported the plan to refocus on recycling in the Michaelmas Term. St John’s College is already leading the way across the University after being awarded 2 stars by the Sustainable Restaurants Association and is working toward 3 stars. The main areas of focus are sourcing, animal welfare and energy management. The College already works with Olleco to collect cooking oil from the kitchen saving 36.65 metric tonnes of carbon, which is equivalent to keeping 17 cars off the road for a year. Other initiatives include sourcing English wines and investigating insect based foods, including a number of tasting events planned for later this year. The cost and accuracy of the College’s utilities charges will be improved by an agreement that had been negotiated by the College’s consortium for the installation of new Automatic Meter Reading (AMR) devices by the University’s energy providers at no additional cost. These include 4 electricity AMRs in the kitchen, Cripps and Corfield Court, and 16 gas AMRs in other parts of the College. The Domestic Bursar has had a meeting with POD Point Ltd regarding electric car charging points in College and future provision had been incorporated into the College’s estate masterplan. In 2016 the St John’s College Environmental Committee conducted a review of the College’s Environmental Strategy in the light of the University’s Environmental Sustainability Vision, Policy and Strategy ('ESV'). It was agreed that the College should set itself environmental goals that would guide investment and operational decisions to significantly improve the College’s environmental performance over time. The first area is buildings, where significant improvement in energy saving can be achieved by retrofitting College hostels to improve their EPC ratings. A pilot had been conducted at 15 St John’s Road to reduce both gas and electricity consumption by 50% while improving the living conditions for residents. This suggested that sustainable energy savings could be achieved by an appropriate combination of insulation, double or secondary glazing, energy switches, motion sensors, high efficiency boilers and thermostatic controls rather than relying on short term initiatives such as Green Weeks. Similar benefits had also been achieved through the Cripps refurbishment, which had improved the energy rating of a large 1960s building from F to C with a commensurate enhancement of the living environment for residents. The Committee agreed therefore that the College’s first environmental target should be to deliver over time a minimum energy rating of C for all existing and new buildings. The second area of focus is sustainable sourcing of food, where the College is already leading the way across the university and Cambridge itself after being awarded 2 stars by the Sustainable Restaurants Association. The Committee noted that the College is becoming so advanced in its sustainable sourcing that for any members wishing to promote the College’s environmental policy, one of the best ways of doing so would be to eat more in the BDR and Hall : eating-in is the Green option. The Committee agreed therefore that the College’s second environmental target should be to achieve 3 stars from the Sustainable Restaurants Association and use this to encourage greater dining in college facilities. The third area of focus is the collection and removal of waste. Currently 50% of the College's annual waste goes to landfill and 50% is recycled. The charge for landfill collection is double the cost of recycled waste. Currently Housekeeping are responsible for emptying landfill bins in College and students are responsible for emptying recycled bins. In practice, this means that when the recycled bin is full, students put recycled waste in the landfill bins. As a result, it is estimated that more than half of the waste going to landfill could in fact be recycled. Last year a trial was conducted in Corfield Court where Housekeeping emptied the recycled bins and students emptied the landfill bins with the result that recycling percentages increased significantly. The Committee agreed therefore that from the Michaelmas Term 2016 the Corfield Court model should be rolled out across all parts of College and that a target should be set of recycling 75% of all waste. In 2015 the College conducted an Energy Saving Audit (ESOS), which made 61 recommendations for improving energy management across the College, the school and the endowment properties. These included replacing the boilers in Third Court, introducing secondary glazing in the old courts and PV panels on south facing hostel roofs. Many of the recommendations have already been built into the medium term buildings and maintenance plan. A student-run programme of activities and projects taking place in November 2014 aimed at making people who live and work in College think about how they can contribute to a more sustainable future. Green Day 2012 – 14th November. A focal day for energy saving in the College. Green Day is about raising awareness in the difference behavioural change can make on the environment. With particular focus on reducing gas and electricity consumption, Green Day is about rethinking the ways in which we use energy. Behavioural change is widely recognised as the single most significant way to reduce energy consumption, far exceeding the benefits of most technological initiatives. Green Day also aims to raise awareness in the carbon dioxide emissions associated with meat production in comparison to vegetarian food, with information provided in the Buttery on Green Day. We saved 6% on gas consumption and 4% on electricity consumption. This saved £77 in one day – that’s over £28,000 annually if achieved consistently throughout the year! This one day prevented 600 Kg of Carbon Dioxide being released unnecessarily from energy production - equivalent in volume to 2.5 double decker buses!